Download vector and royalty-free discount labels and insert in your infographics instantly. 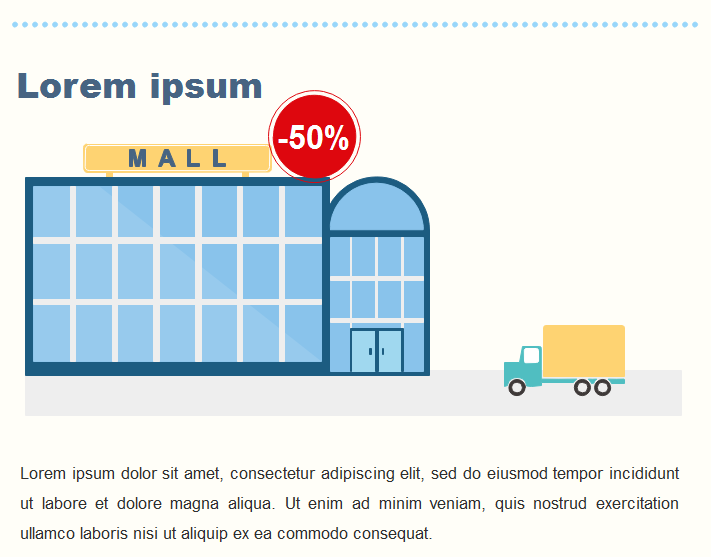 The discount label elements are editable and can be saved as .svg format. Discount labels are hot elements when designing infographics for marketing or for seasonal promotion. Use beautiful discount label elements to make your infographics more professional and visually pleasing. Choose from our discount label stock with preferred color and style. Get your favorite discount badges, christmas sale tags, price banners, and so on. All the the discount labels below are with vector nature. You can simply change the colors, lines, transparency and fonts. Select a discount label shape, you can apply new colors or change the size without losing clarity. You can also change the font color, font size and font types. Learn to draw vector discount labels with Pen tool in the software. With the drawing toolkit, you can create whatever discount label you want. The Arrow-Down style discount label is quite popular to use. You can use the discount label together with other elements. You can put it on the window of shopping mall, on the cart, or on the product. 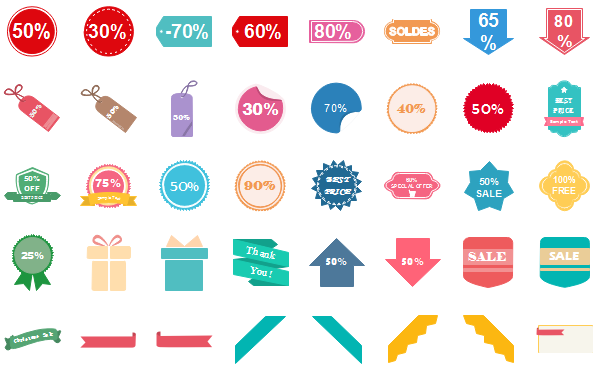 Want to use the above discount label elements in your infographics? Download Edraw Infographic Maker! It includes a large variety of infographic elements which are easy to modify. Design a wonderful infographic is just a few click away. Try it now!